Sixth Grade Tales: Get to know me with....an award! 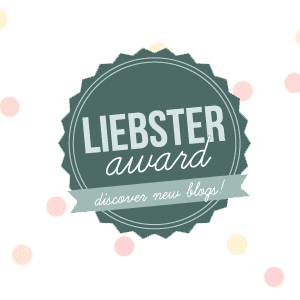 I woke up this morning to two emails saying I was nominated for the Liebster award. This is an award for new blogs with less than 200 followers. It's a great way to find new bloggers to follow and get to know them a little better. 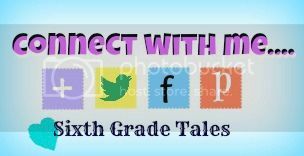 So I first want to think my new sweet blogging friends Angela @ The Teacher's Desk 6 and Melissa @ Starting in 6th for nominating me for this award! Answer the questions posted for me by my nominator. Contact my nominees to let them know that I nominated them. What made you decide to be a teacher? I've wanted to be a teacher since I was a kid lining up my teddy bears and reading stories to them. What finalized my decision to teach was my high school Spanish class where we were able to teach basic Spanish to our local elementary school. The time time I was able to present a lesson I created I automatically fell in love. How would you describe your teaching style? My teacher style would be very student centered. I like to see my students trying to figure out things themselves without me giving them the answer. I love group work and am rarely at the front of the room. Do you have siblings? If so, please tell a little about them. I have one older sister, she is 10 years older than me but we are still very close. She has two children, a girl and a boy so I am a very lucky aunt. If you were a color, what would you be? Why? I would be neon pink because I'm very bright and outspoken. What was your favorite grade in school and why? My favorite grade in school was probably eleventh grade when I knew I wanted to become a teacher and was able to start taking community college classes. What gives you inspiration? Recently most of my inspiration has came from professional development books and learning from other bloggers. I am very thankful for my blogger friends! What is your favorite book? Why? Where the Red Fern Grows has to be my favorite because it is my favorite novel to experience with my students. It was the first book I found where my students were constantly asking me to keep reading. I also love dogs so this is a great pick for me. What kind of vehicle do you drive? Does this say anything about your personality? I drive a Colbalt and about all that says for me is that I like comfort and good gas mileage. Do you play any musical instruments? I took about 7 years of piano lessons and wish that I would have continued to practice more. I have lost a lot of what I previously could do. If you could meet any historical figure who would you choose? I'd want to meet Leonardo Da Vinci and see if he could give me a painting lesson. What do you enjoy most about blogging? I enjoy reflecting on my teaching practices and getting to learn from other teachers. I have taken away so many ideas from other bloggers! 1. What was your experience on the first day of your first year in teaching like? I was overjoyed, that was the moment I had been waiting so many years for. Surprisingly, I wasn't nervous and was so excited to see smiling faces in front of me looking excited about the upcoming year. 2. What was/is one of the funniest things that has happened to you as a teacher? My best stories I probably wouldn't want to share on here in case those students were reading. However, my students love to laugh about my drawing skills. Somehow my turtles end up looking like tables. 3. What was one event you learned the most from? I had a student who could never complete an assignment. For every teacher he had he could only finish a few questions during independent work. I kept trying and trying to find a way to help him because his grades were very bad. Some teachers would say "well that is just him" but I never gave in to that. I came up with an idea of using a timer to help him during independent work. The student was finally able to finish independent work and became much more confident in himself. Moral of the story here is to never give up on a student, no matter what anyone else says. If you could live one place in the world, where would it be and why? I would want to live some place warm and with a farm. I don't have any specific countries or states I'd prefer to live in. I would just love to have a farm and be with my family. What would be one thing you wish was in your classroom, and how would it help? I would love an iPad cart. I would have students use them for things like QR code hunts and creating their own blogs. What is your favorite book to read with the students? Where the Red Fern Grows. 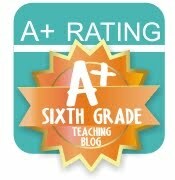 I recommend this to any fifth or sixth grade teacher. It creates a great experience with your students. If you could live in any decade, which one would it be and why? I would probably stay in the 90's. The economy was a little better, great TV shows and great bands were around during this time. Where did you go to college & why did you choose that school? I went to Appalachian State University. The only reason I chose this school was because it is known as a great education school. I do not like cold weather so sometimes I question how I survived those years in the mountains. If you weren't teaching, what career would you choose & why? I would probably be working in some kind of computer tech field. I am great with computers and technology and like to figure out how to solve different tech issues. Are you planning on advancing your degree, in which area/endorsement? I have my Master's in Special Education so right now my plan is to just use it. I don't know if I will go back for my Doctorate or not but if I do it will be for Curriculum & Instruction. What is your favorite type of food? I love Italian food, both eating it and cooking it. Pizza, pasta and salad are all my favorites. I love trips to Olive Garden. 4. I'm probably the happiest person you will meet. 5. I like shopping, a little too much. 7. I love visiting new places. 8. New York is my favorite place I've been so far. 10. My TV show addictions are The Following, Revenge & The Big Bang Theory. Now to nominate some of my favorite blogs for this award! 1. What is your best advice for starting a new school year? 2. What is your favorite book for professional development and why? 3. How do you deal with giving homework? Is it the same each week? 4. If you weren't a teacher, what profession would you be in? 6. Outside of teaching, what do you like to do for fun? 7. What is your favorite place to shop? 8. What is your favorite educational website? 9. What kind of music do you like to listen to? 11. What book do you love reading with your students the most? Thanks again to Angela and Melissa for nominating me. I love this way of getting to know new bloggers. I hope my nominees have just as much fun with the award.